Two local staples of the Virginia Beach culinary scene are fresh Pungo Strawberries and Lynnhaven Oysters - and both were actually favorites of our country’s first settlers like Captain John Smith. 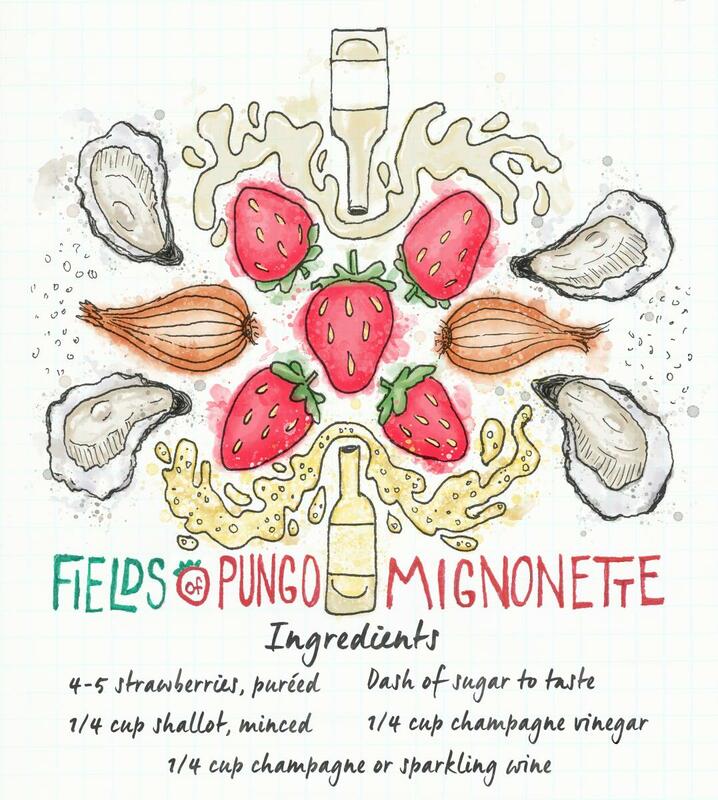 Luckily, with this homemade strawberry mignonette recipe, from modern-day Captain Chris Ludford, of our very own Pleasure House Oysters, you can enjoy both at the same time. If eating oysters and strawberries together sounds a little weird to you, just wait until you try it. The sweet and sour zing of the mignonette pairs perfectly with the salty bite of the Lynnhaven Oysters, for delicious bite that is pure Va Beach. If only the first settlers had known about this. Combine all ingredients and mix well. Store in refrigerator until right before use. While strawberry season in Virginia Beach runs from April - June, fresh-picked strawberries can be vacuum-sealed and frozen to enjoy delicious local strawberries, and strawberry mignonette, any time of year! We recommend picking a few extra pales this season and enjoy this perfect combination in the colder months, when our Lynnhaven Oysters are in peak season.